Did you watch the BBC adaptation of War and Peace back in 2016? I was lucky enough to tune in because I fell in love with the series, it really was a great watch. 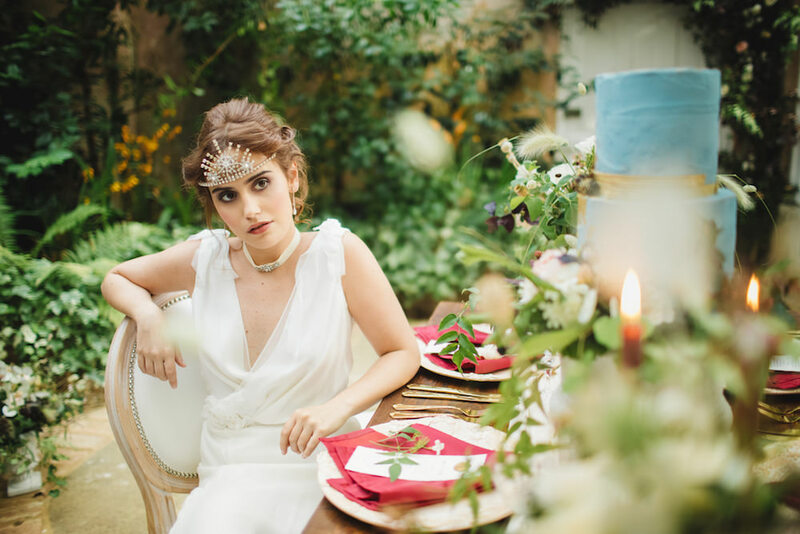 So when this wedding editorial inspired by the drama was submitted to Whimsical Wonderland Weddings I was smitten. There is just so much to be inspired by here today. 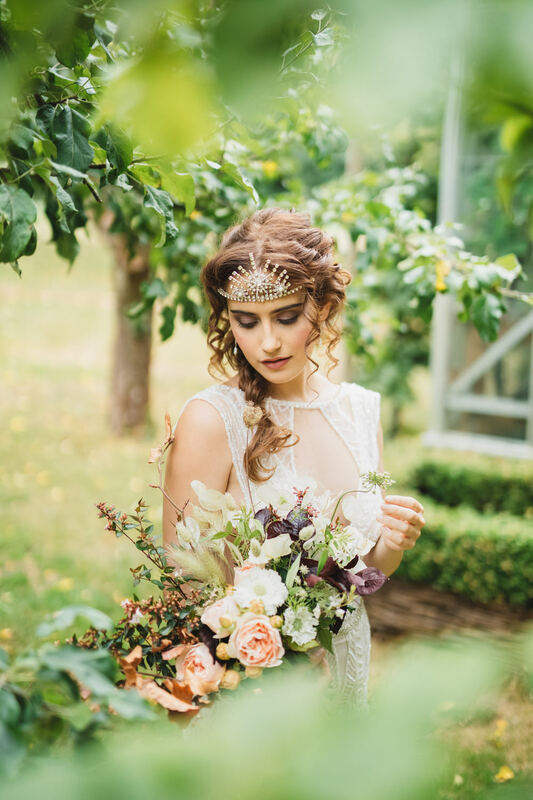 The shoot was planned, coordinated and styled by none other than Three Graces Events and beautifully photographed by Cat Lane Weddings at West Green House in Hampshire. The whole creative team involved really came together so well to work on this fantastic concept. 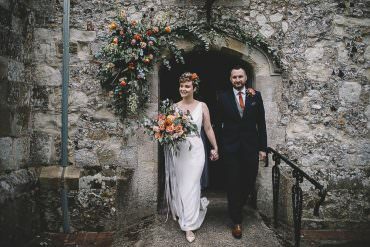 I have to say I just adore the Orangery setting, it really worked perfectly and all of the wonderful touches nestled within the space just so. 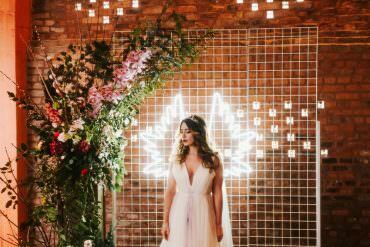 The flowers really were stand out, with the natural feel flower installation totally blowing me away. 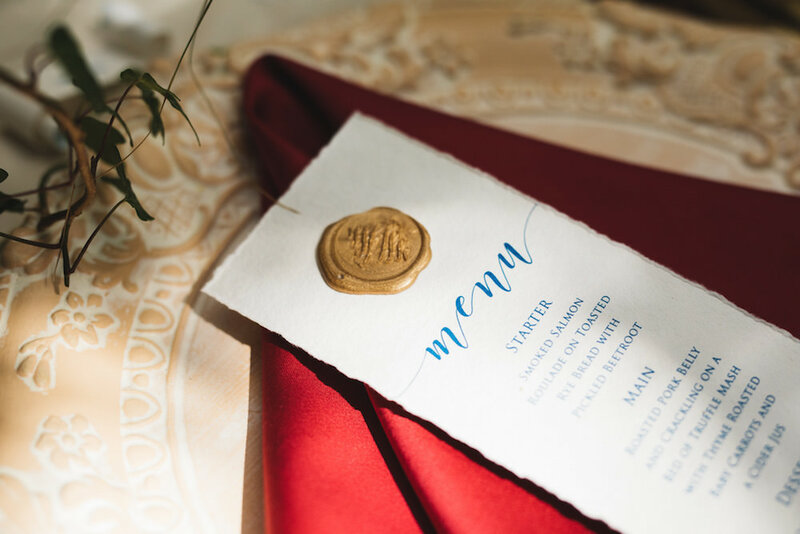 A luxe yet bold colour palette was used to great effect and many of the decorations and details centred around these hues. 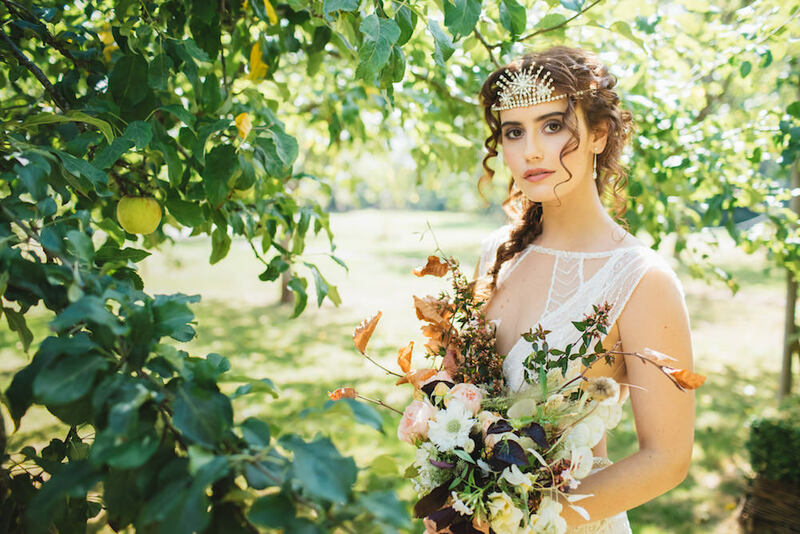 There are just so many fabulous elements to this shoot, it’s hard to mention them all. 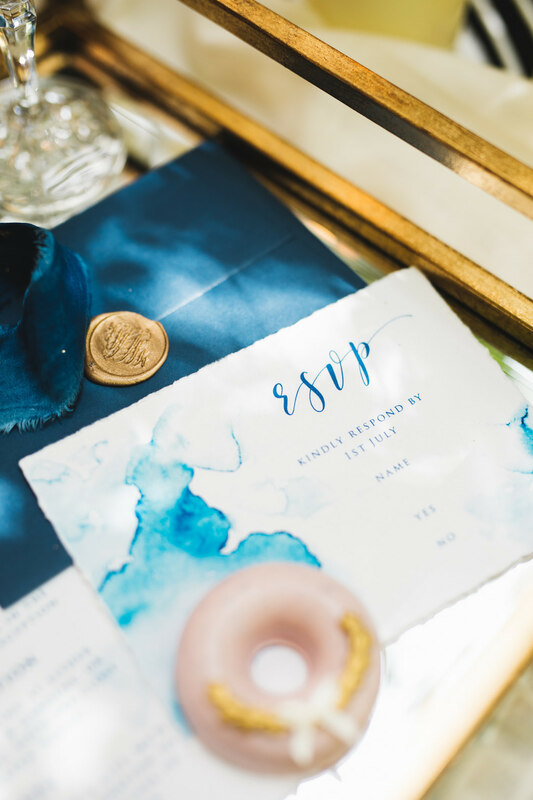 Do keep your eyes peeled for the blue and gold cake creation, stylish stationery, beautiful bridal looks and all of the divine items, which were styled so wonderfully. 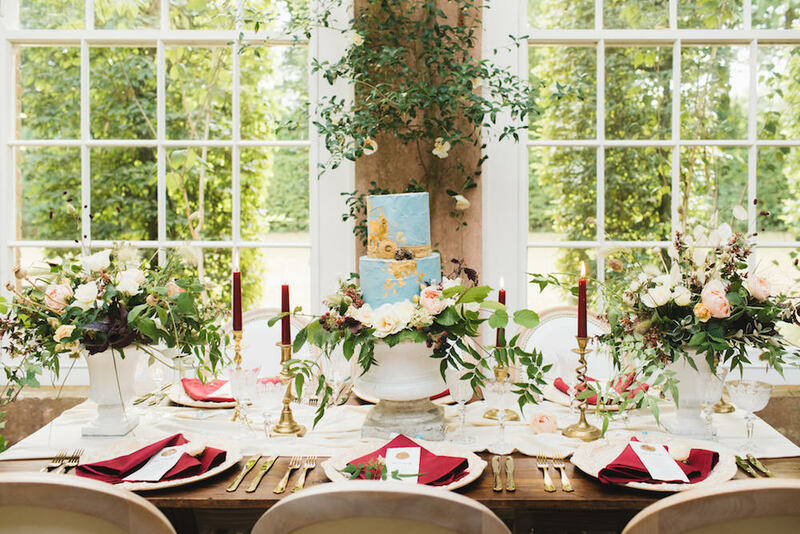 This shoot was loosely inspired by the recent BBC adaptation of Tolstoy’s most renowned novel. 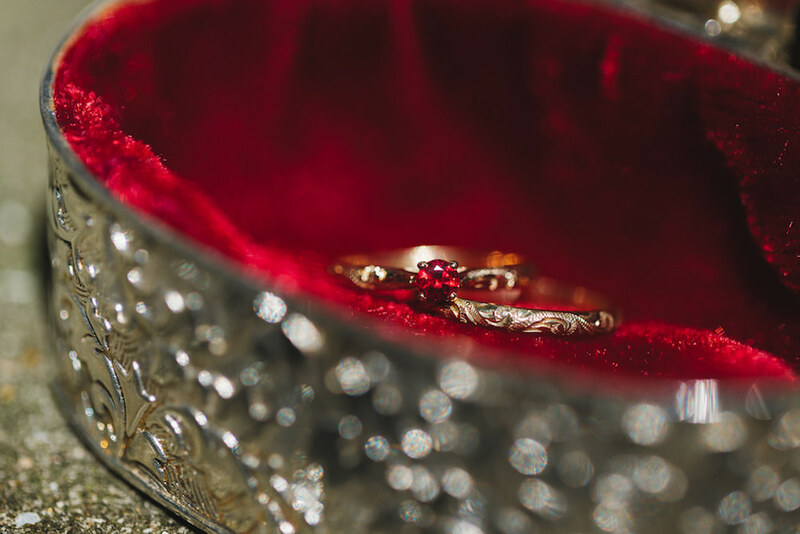 The marrying of two such wildly conflicting themes – love and war – made this a challenging brief to fill and all the more unique for it. 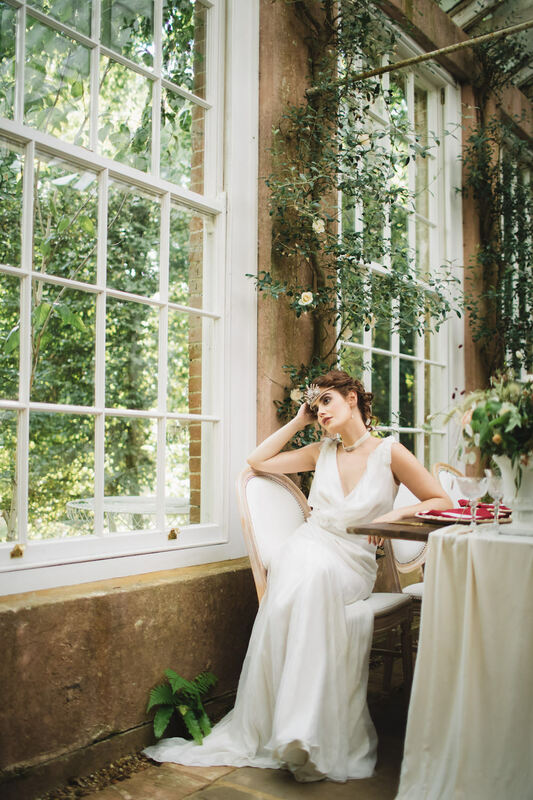 This editorial was set inside the Orangery at West Green House in Hartley Wintney, Hampshire. 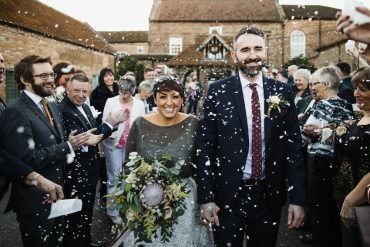 The exquisite house and grounds are privately leased from the National Trust and whilst the venue is well known for its charming walled garden and open-air opera season, relatively few people realise that you can actually host your wedding reception here! 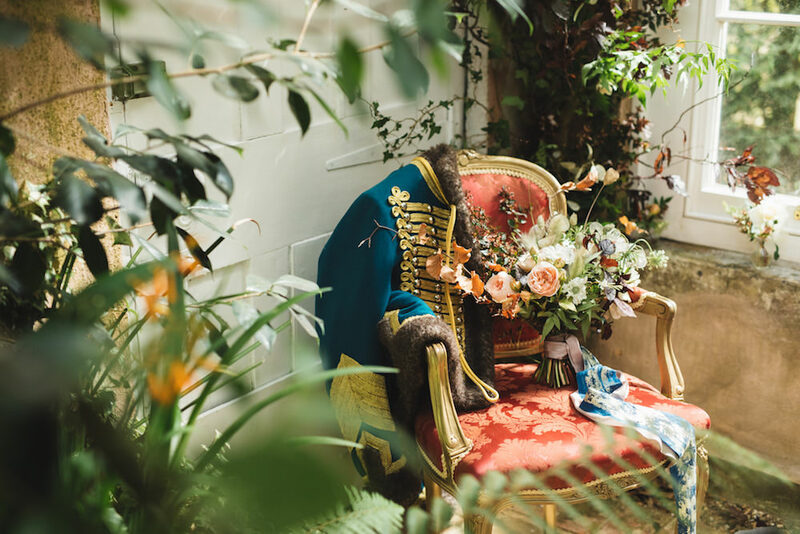 A well -kept secret, the venue was specifically selected for its striking resemblance to the Orangery at the Rostov family home where Nikolai and Sonya share their first kiss. 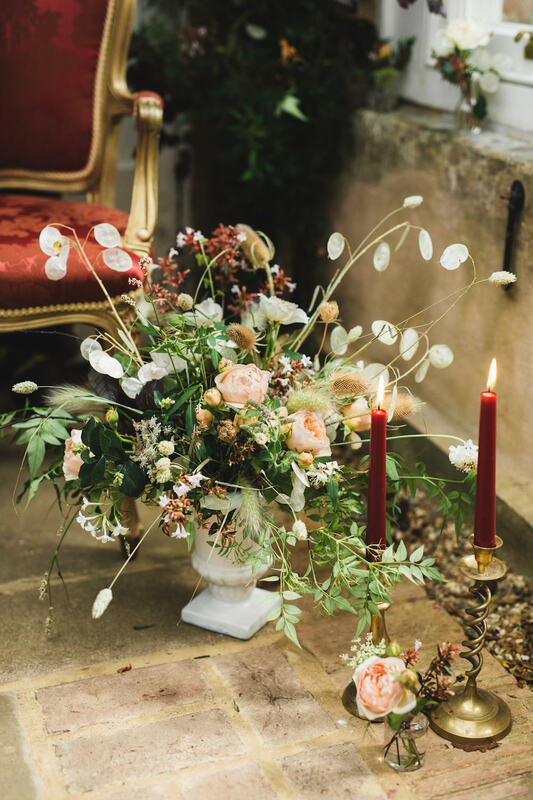 The styling incorporated neoclassical touches similar to those used throughout the BBC adaptation, with Grecian-style urns and vases used to cradle Sarah at Floribunda Rose’s opulent floral displays. 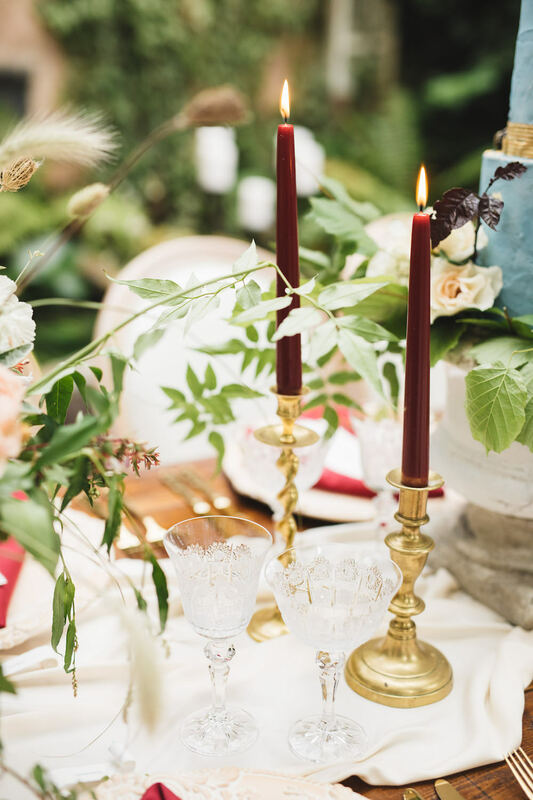 A beautiful polished wood table was decadently dressed with fine silks and luxurious tablewares similar to those seen inside the glittering apartments where notorious hostess Anna Pavlovna holds her society soirees. 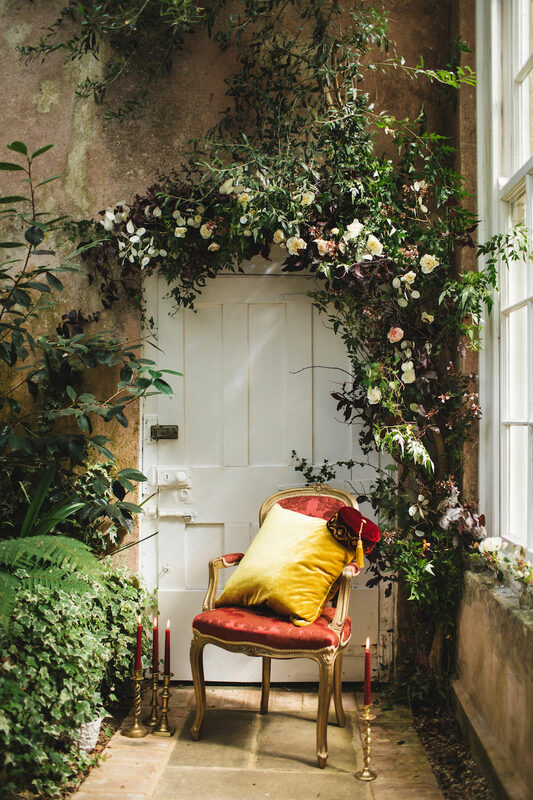 Contrasted against the wild, slightly overgrown and stripped back feel of the secluded Orangery this was used to create the feeling of a powerful Russian dynasty teetering on the precipice of collapse. 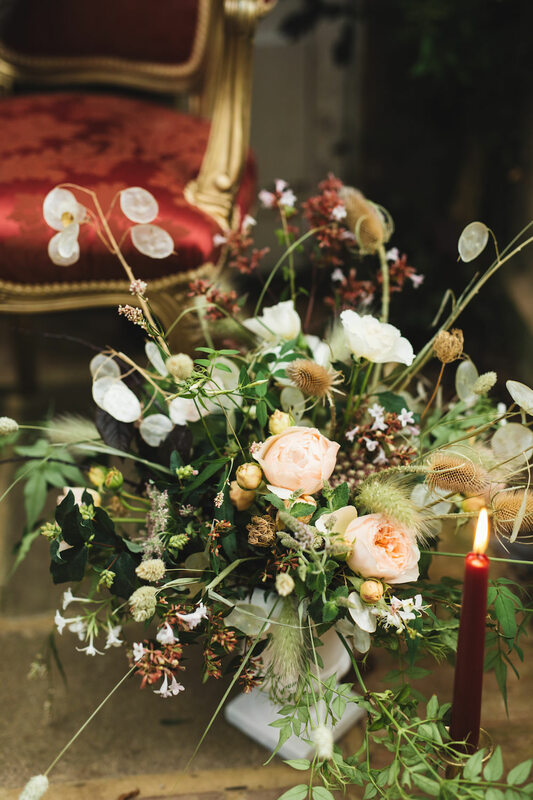 Concept, planning, styling and coordination by Sarah Mitchell of Three Graces Events, a qualified and experienced wedding planner, designer and stylist working across London and the Home Counties to produce and coordinate creative weddings for un-conventional couples. 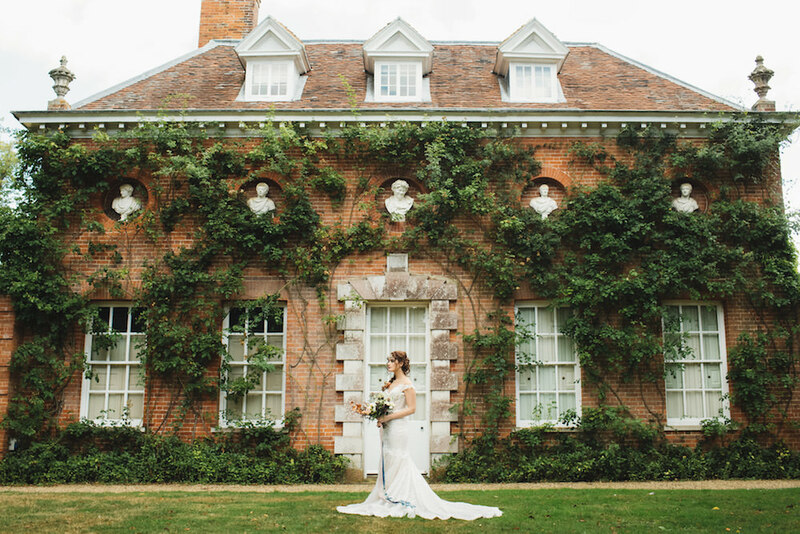 I have been fortunate enough to work with Cat before and it was after seeing her in action at a wedding in Mayfair last year that I knew she would be the perfect photographer to work with on such a challenging shoot. Cat’s unobtrusive approach to photography is always evident in the natural, effortless style of her images but she also has a sharp eye for detail and a fantastic work ethic, best demonstrated when come 4pm Cat was gamely knee-deep in pond water all in the name of secuirng a wider angle on the tablescape! Cat is also a fantastic Director and knows exactly how to get the best from her subject. 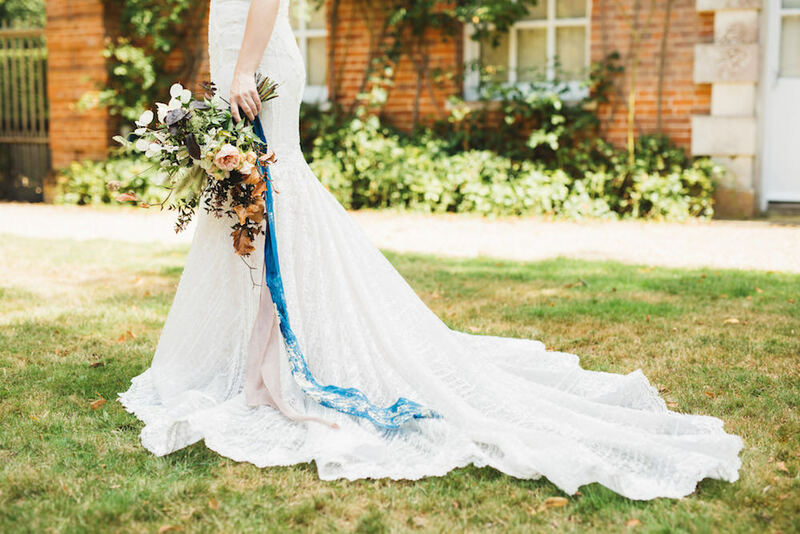 She understood instinctively the need to avoid any bridal images that were too simpering or conventionally “twee” and working with our fantastic model Emily to capture a more independent, defiant bride. Sarah Diligent was one of the first suppliers I went to with this brief in mind. 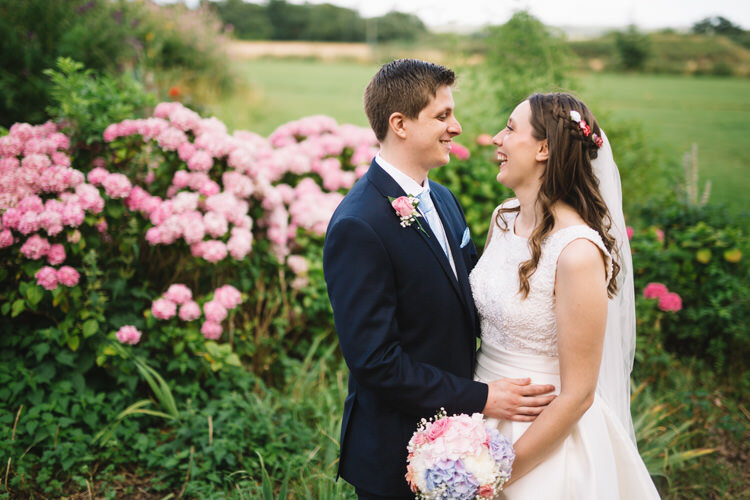 She is locally renowned for her work and whilst I’m always wary of asking too much of busy florists outside of a “real” wedding setting she enthusiastically grabbed my very vague, garbled ideas and worked her magic, transforming them into something even better than I could have imagined! 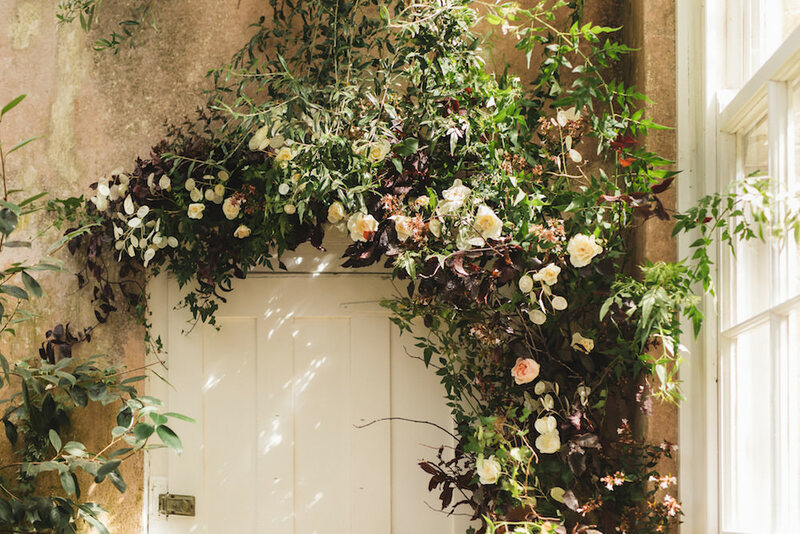 Without even seeing the Orangery she was able to work from photos to get a feel for the colours and textures we wanted to replicate, even managing to create the most beautiful floral installation around the door which we genuinely all thought had sprouted organically from the earth! 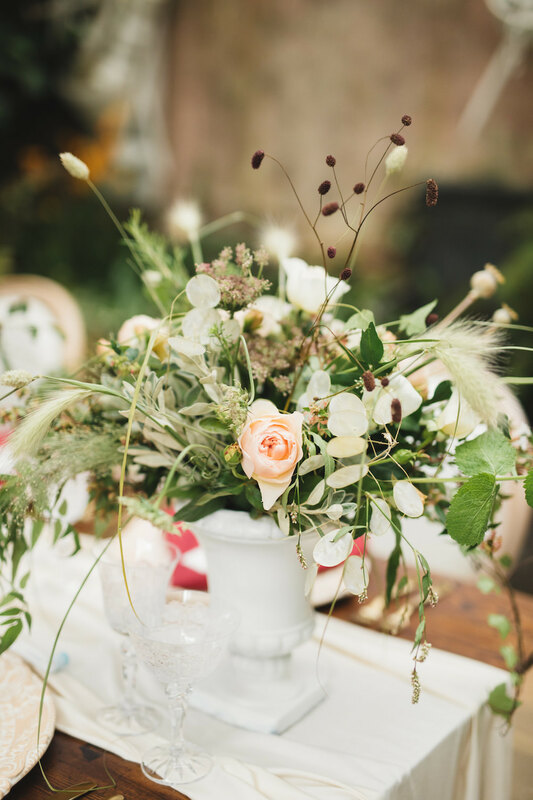 Sarah carefully selected a variety of flowers and props including neoclassical urns and an eclectic mix of dried seed pods, grasses and large, billowing blooms all tied together with the fresh greenery that’s so symbolic of her signature style. 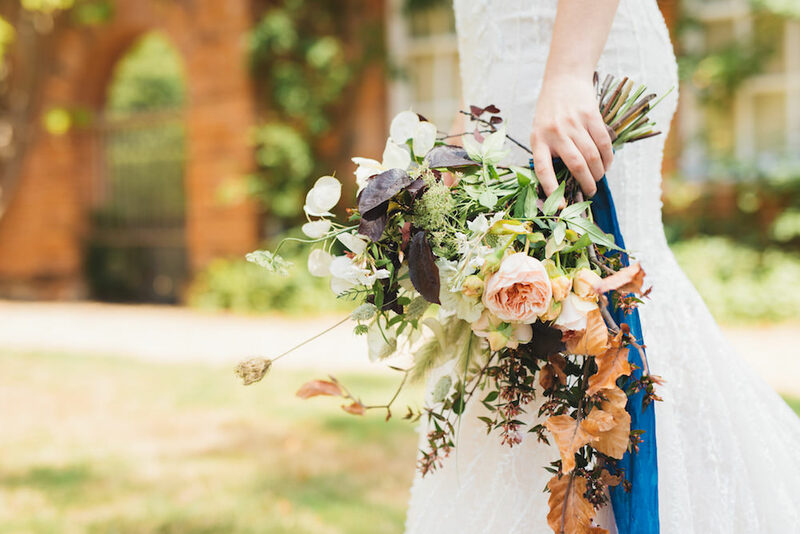 A generous bouquet was hand-tied with raw silk ribbon with a metallic leaf embellishment by Lancaster & Cornish. 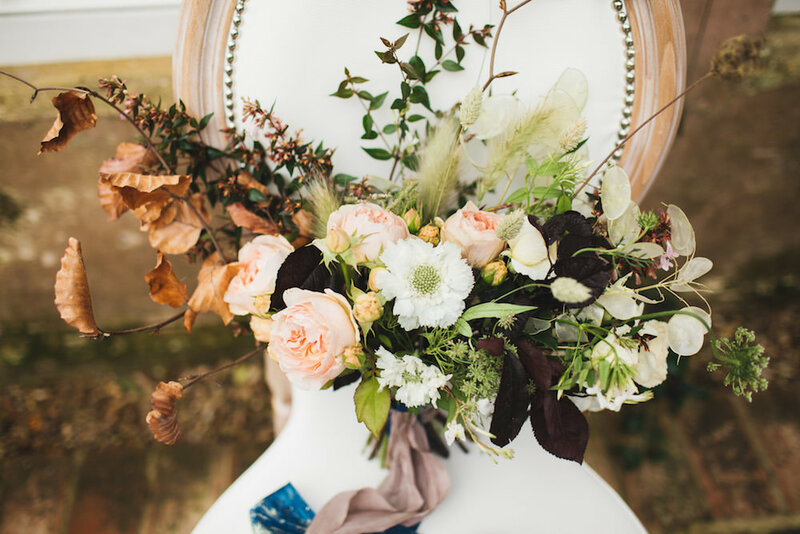 Local event hire specialists Academy Furniture Hire provided a rustic six foot vintage trestle table, married with their ever popular Louis chairs to add a refined sense of elegance and grandeur to the Orangery. 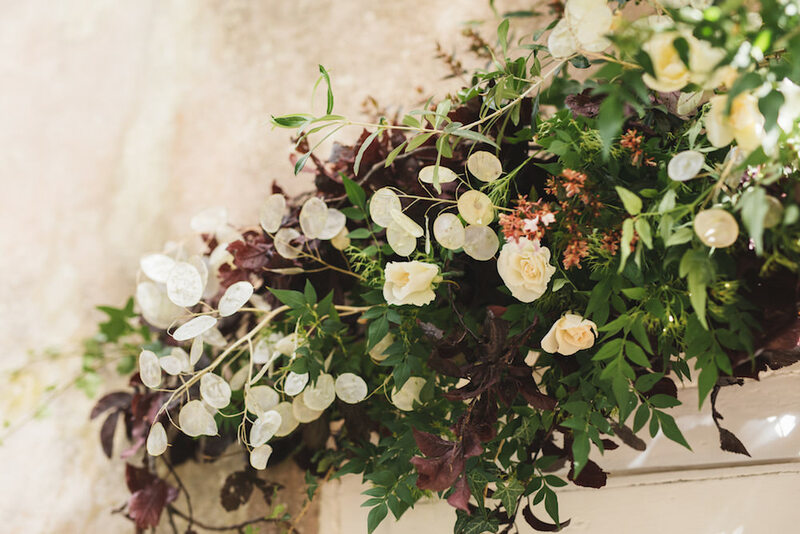 The delectable wedding cake was designed by the supremely talented Ellie of Milk Street Kitchen, with a carefully textured finish applied to the icing to mirror the crumbling walls of the Orangery. 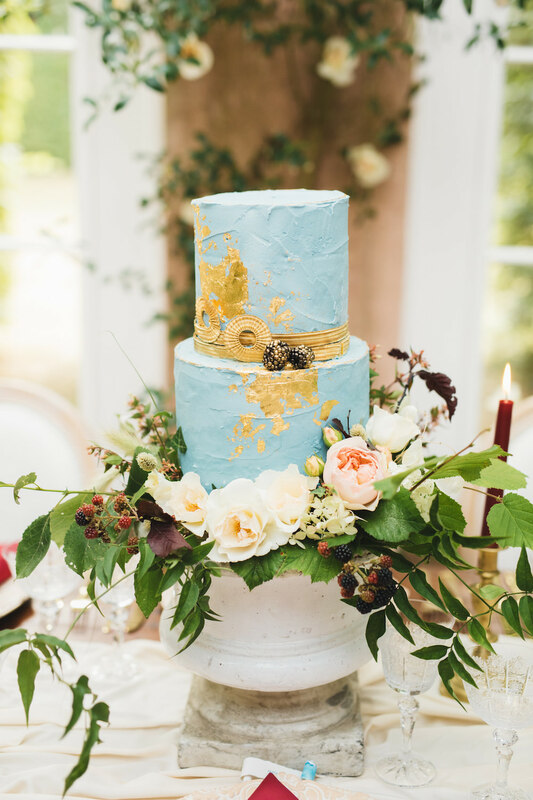 Set on a neoclassical-style cake stand and trimmed with authentic gold braiding borrowed from a Royal Navy Uniform the cake was adorned with fresh flowers and glittering, jewel-like blackberries. Designing an interesting table is the part of my job that I love and fear the most! 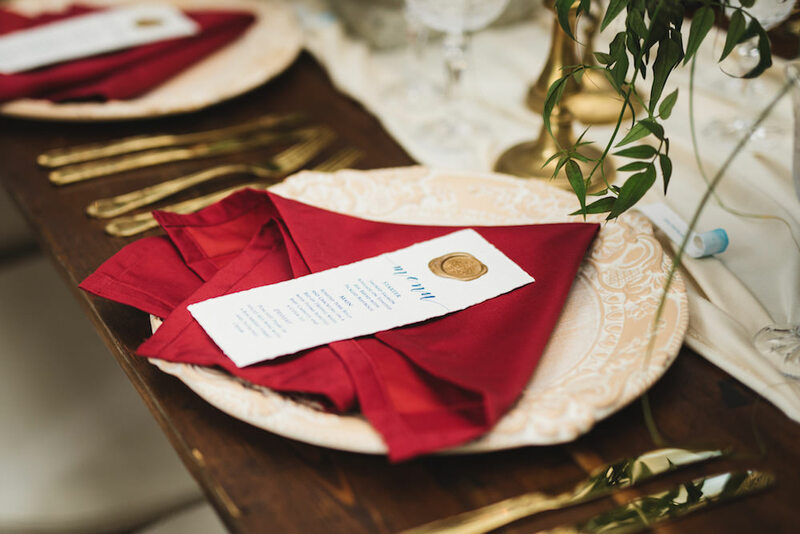 A beautifully dressed table will typically incorporate so many different colours, styles and textures and until you have everything laid out in front of you it can be impossible to visualise how it will work on the day! 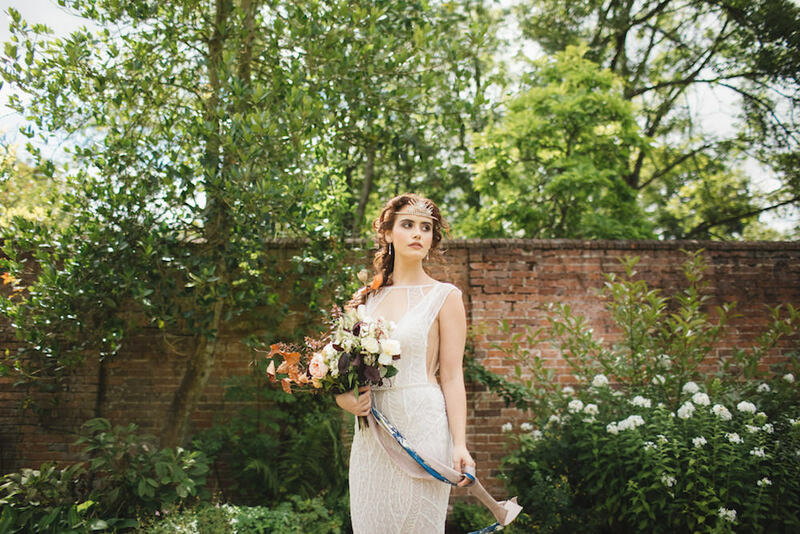 I just loved the colour palette we chose for this shoot, in fact I think it may be one of my all-time favourites. 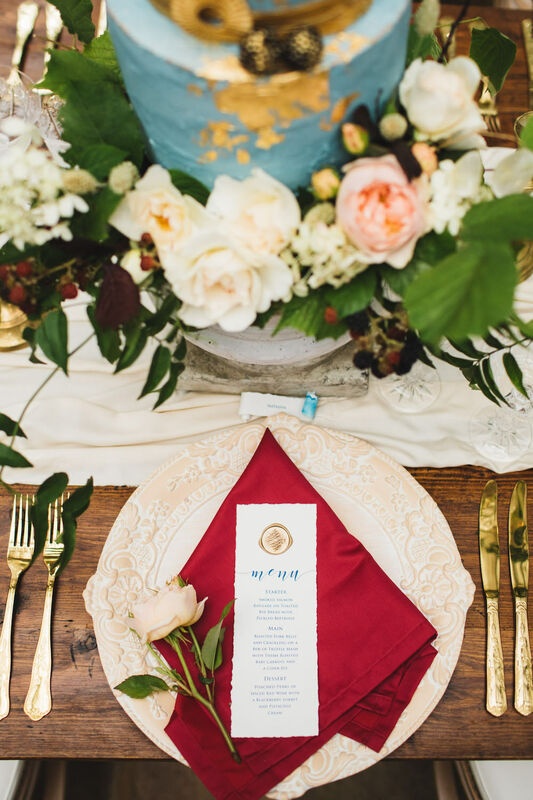 The soft creamy blush, mellow pink and ivory contrasting against the bold pops of military red and Hussar-blue….it shouldn’t work but it does! 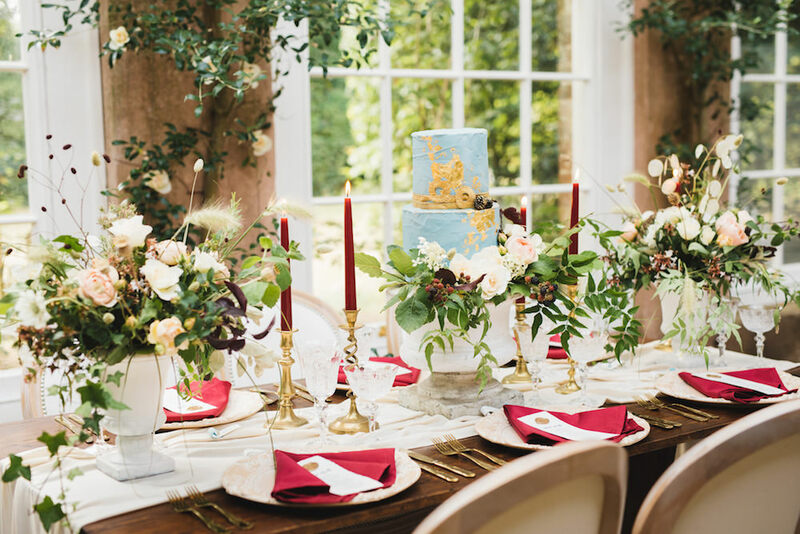 Hire specialists of choice Duchess & Butler provided the most elegant tablewares, including their pale peach Leontine charger plates, Fiori crystal wine glasses and champagne coupes, gold Versailles cutlery and an ornate gold table easel. 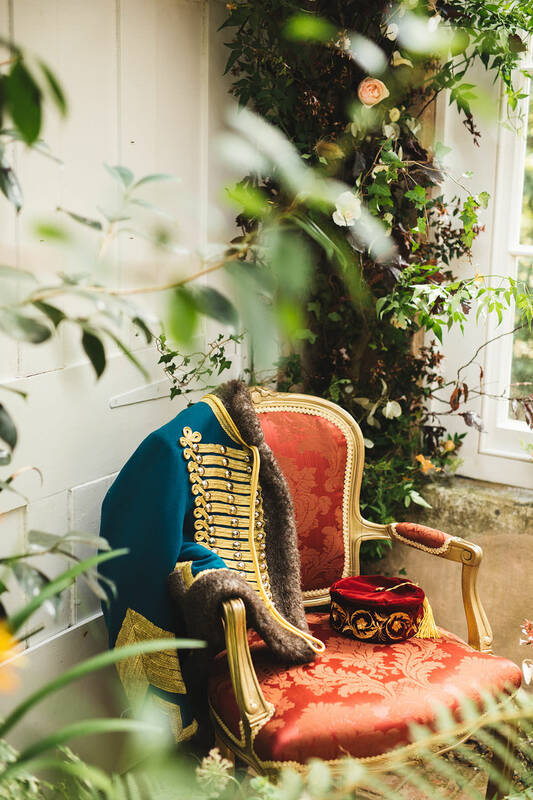 In a further nod to Russian heritage, signature accessories such as these timeless smoking caps in plush jewel tones was incorporated into the shoot to further bind the Orangery to the privileged world of the aristocracy. 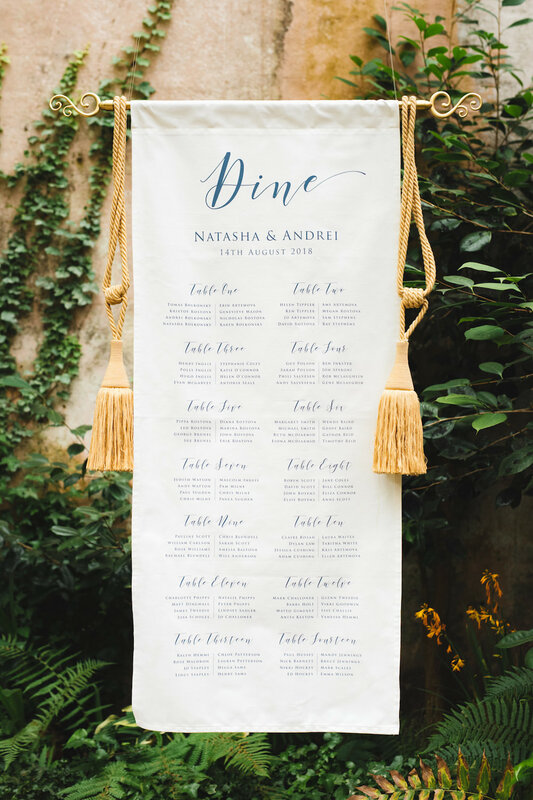 Expert producer of silks and natural fabrics, Sian of Lancaster & Cornish hand-dyed a dreamy blush bamboo silk runner to sit above an organic cotton voile cloth. 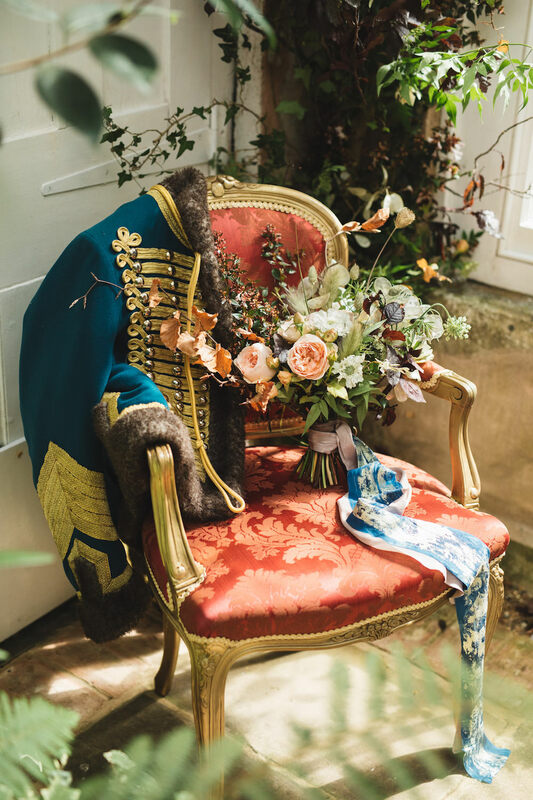 The accent colours chosen to mirror the iconic Hussars uniform were subtly picked up by Sian’s unique gold-leafed bouquet ribbon. 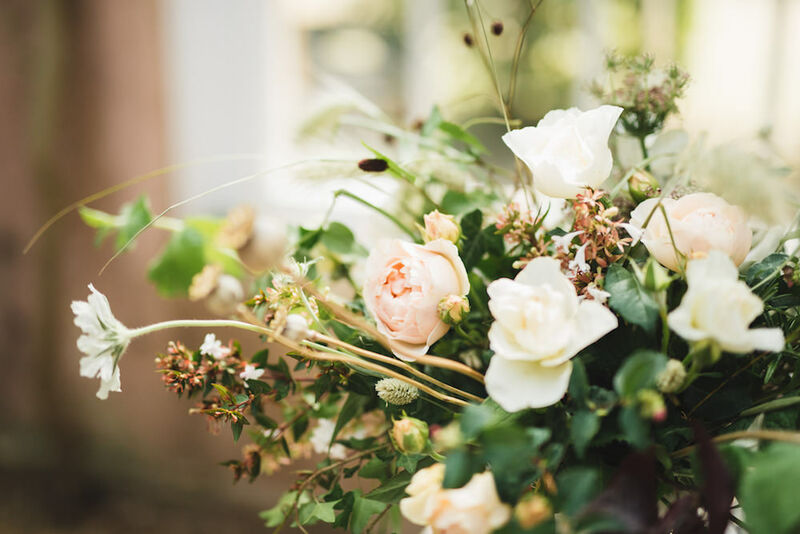 Sian’s family roots in the textile industry and her vast experience in the world of romantic events make her workshop the “go to” fabric retailer for the industry’s most renowned planners, florists and stylists. 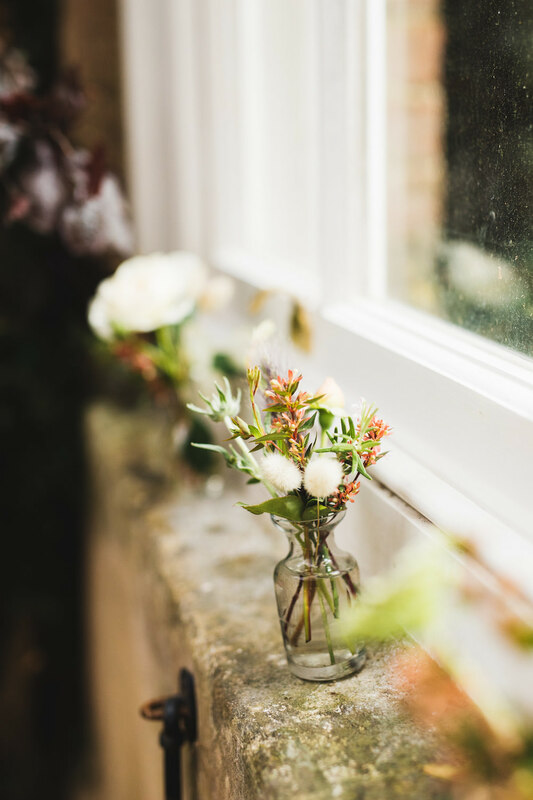 Another local treasure, The Packhouse in Farnham is a vast building full of hidden nooks and crannies filled to the brim with beautiful antiques and collectables. I could easily while away several hours browsing their wonderful collection. 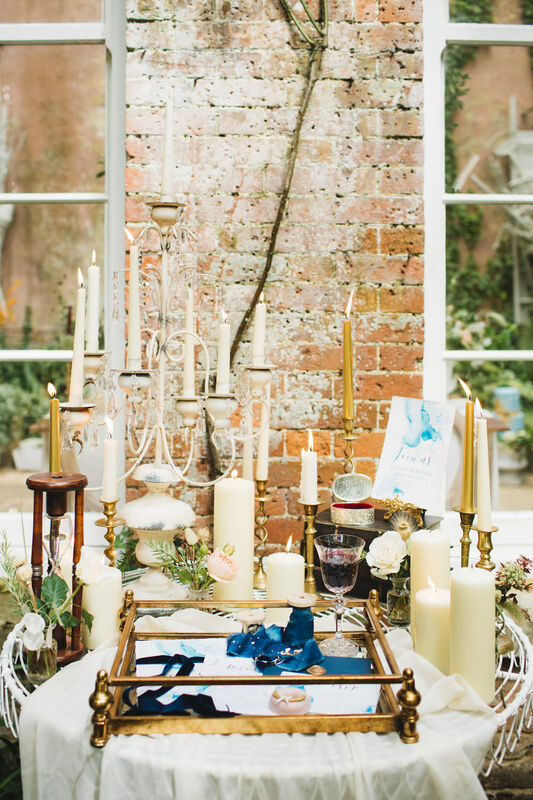 On this occasion we settled for dressing a small table outside with the most romantic crystal candelabra, rustic teardrop lanterns, distressed books sat on top of ornate mirrored trays edged in gold and plush velvet cushions. 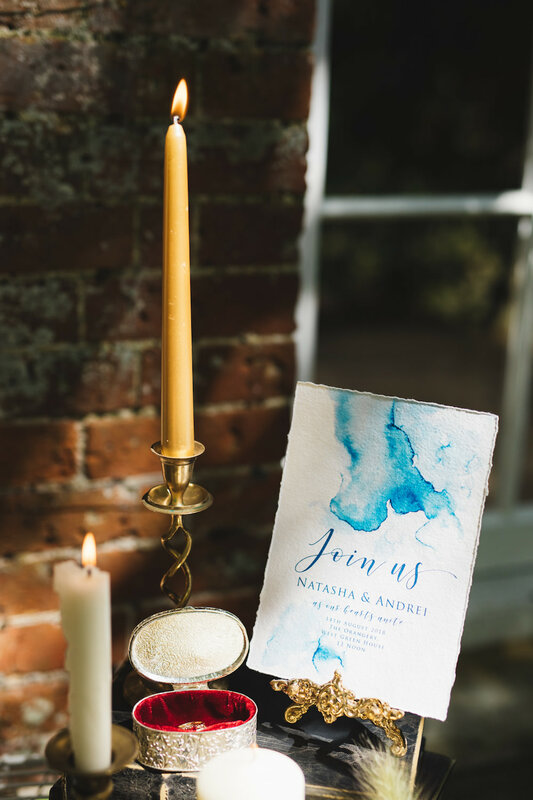 Surrounded on all sides by an assorted atmospheric display of tapered candles, tea lights and church candles I loved the idea of creating a little pocket of the indoors, outdoors. 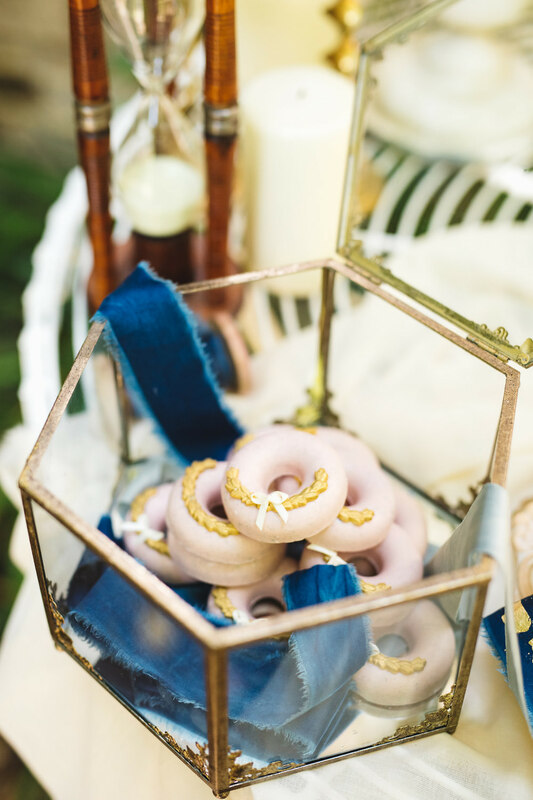 Mouth-watering chocolate doughnuts were hand-crafted by Coco Peony in a muted pink chocolate, with decadent gold garland decoration and ivory ribbon finish. 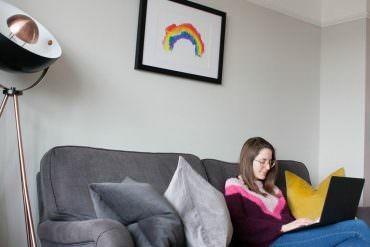 The Coco Peony studio is a Hampshire-based treasure, retailing a wide range of quirky baked goods and handmade chocolates in addition to their popular dessert tables. 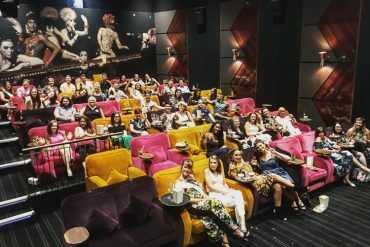 Artisan upholsterers Couture Chairs specialise in handcrafting bespoke creations for the events industry, drawing on art, fashion and textiles for inspiration. 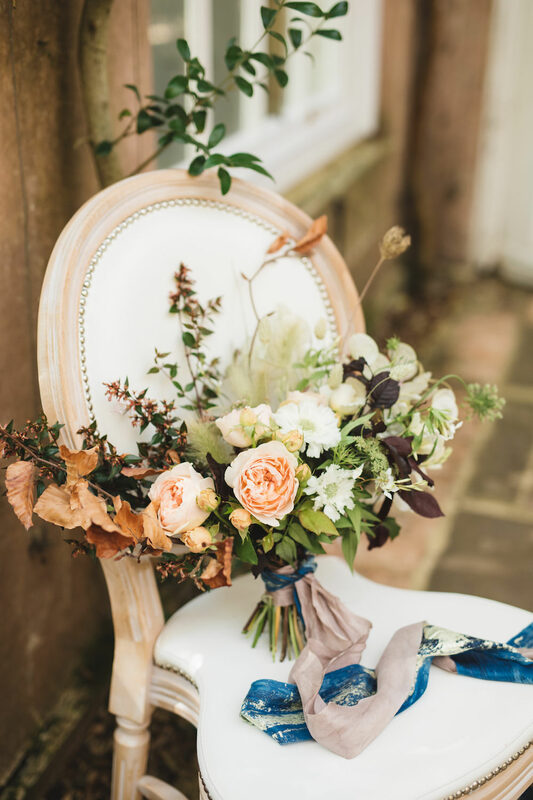 I knew our bride would need a suitable “throne” befitting of her position and was over the moon when Jo agreed to design a feature chair specifically for the shoot using a traditional gold painted frame upholstered in a rich damask fabric. 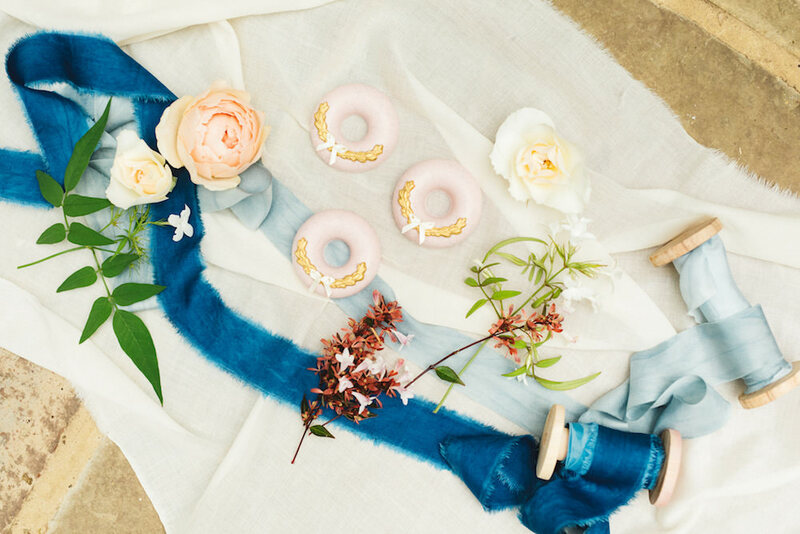 An extensive career in the world of jewellery and time spent studying ethical sourcing and production methods lead Arabel to found her own workshop, specialising in the creation of ethical jewellery and limited edition engagement rings. 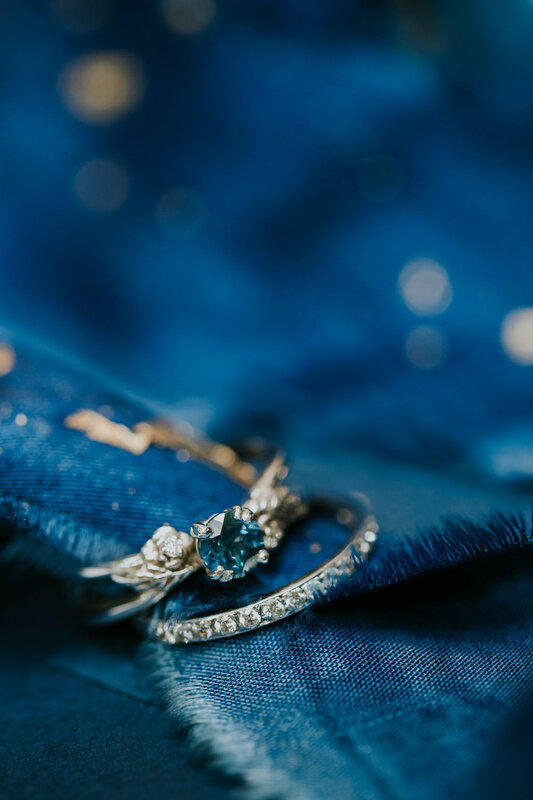 We were fortunate enough to feature an enchanting ruby engagement ring, wedding band and a second, contrasting engagement ring in cooler shades of sapphire with a wild, foliage design, the deep colours of which perfectly pick up on our military inspired colour palette. 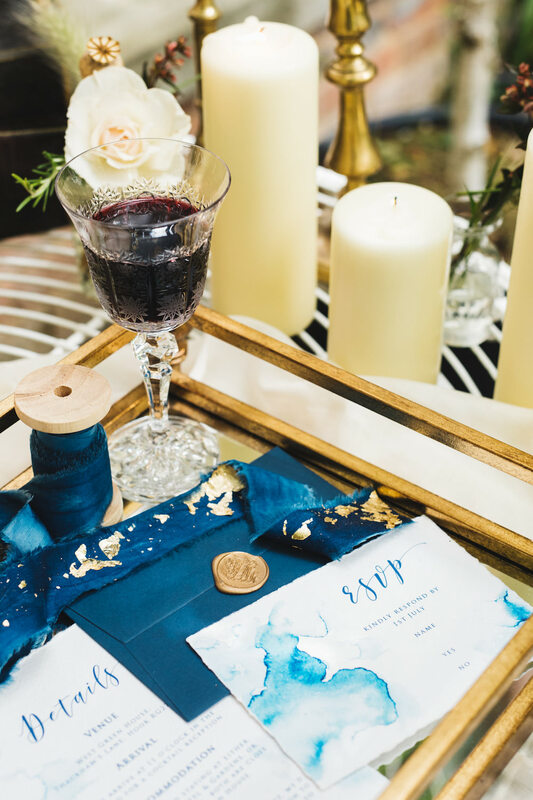 Entwined with Lancaster & Cornish’s signature gold-leaf ribbon the depth of colour in the sapphire came into its own. 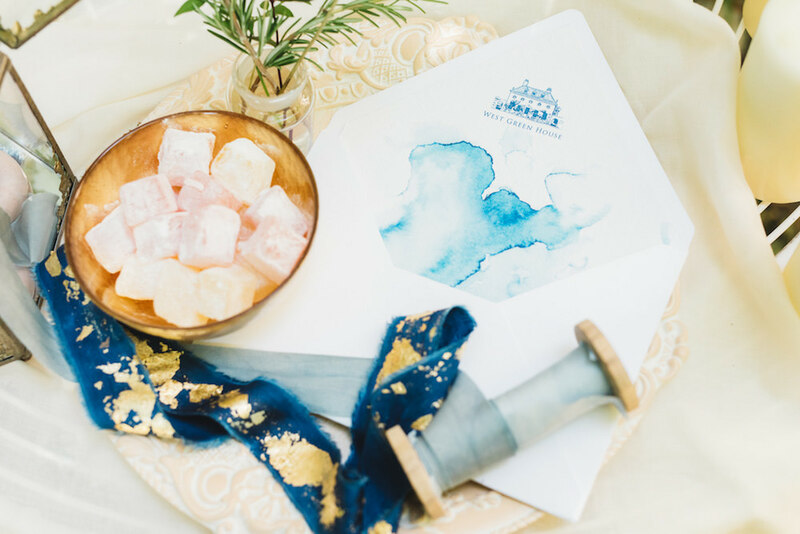 Kelly of White Cottage Weddings is something of a stationery ninja. 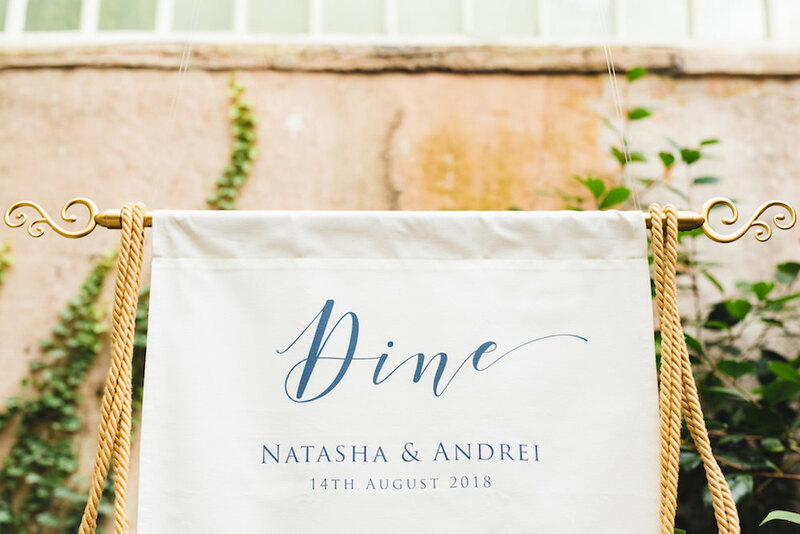 When I initially discussed the concept with her she very casually suggested doing a little drawing of the venue and perhaps knocking up a fabric table plan, making it all sound very, very easy. So imagine my delight when Kelly delivered the most elegant stationery suite imaginable, including hand-painted illustrations of West Green House, lined envelopes, a bespoke watercolour invitation suite, scroll-style place cards and a breath-taking fabric table plan which we suspended from the Orangery ceiling dressed simply with regal gold tassels. 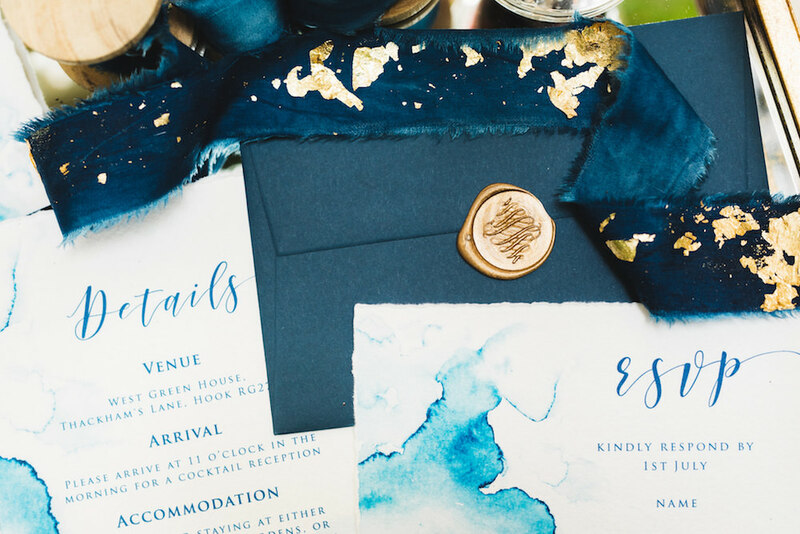 Adapted from her popular Kilworth Collection, the stationery set featured rich velvet ribbons, gold wax seals and the highest quality paper. 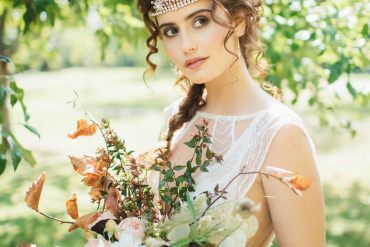 Emily is a professional model based in London with a wealth of bridal and editorial experience behind her. 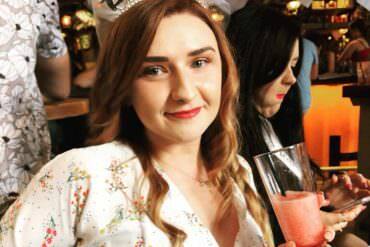 Emily’s main inspiration was the alluring but calculating socialite Helene Kuragina, a great society beauty who uses her extensive charms in the novel to manipulate others to her own advantage. 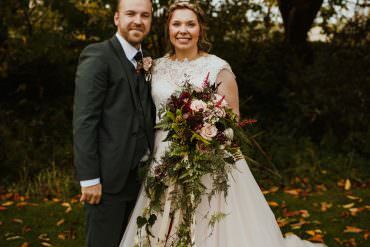 The ultimate professional, Emily really took the time to understand her brief and encapsulated a confident, privileged bride born into a life of luxury. 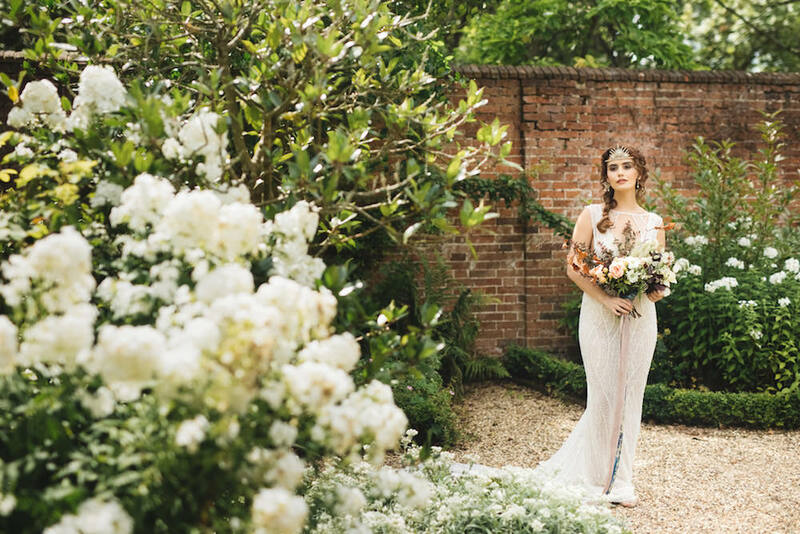 Truly Bridal of Surrey, renowned ateliers of couture bridalwear and go-to boutique for discerning brides across the South East are supplying two beautifully embellished Gala by Galia Lahav gowns. 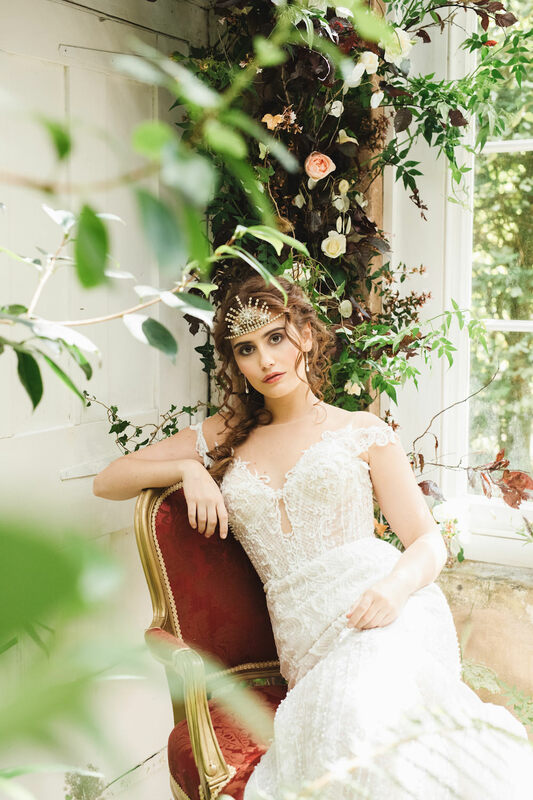 Design 802 featured a dramatic naval-deep plunging neckline with sensual, figure-enhancing lines, whilst design 909 boasts a richly embellished bodice with off the shoulder sleeves and a romantic mermaid style skirt. 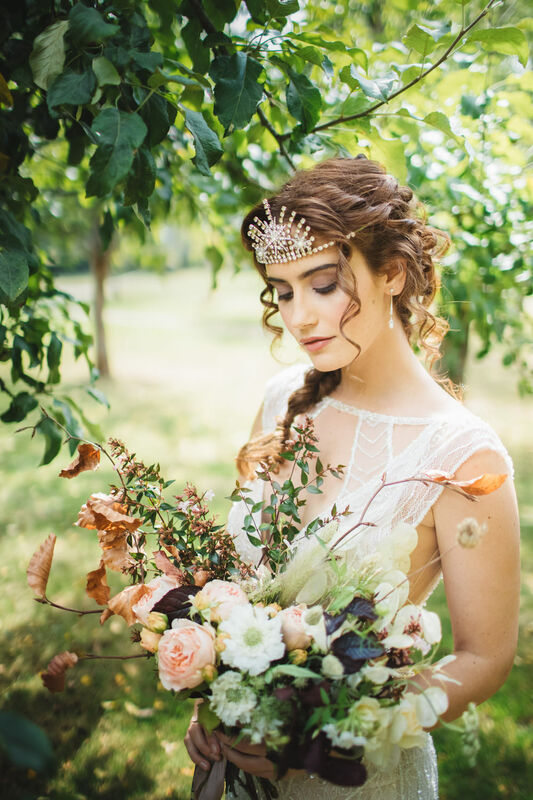 Candra of Wild Rose Hair specialises in effortlessly stylish bridal hair, abundant in natural movement and texture. 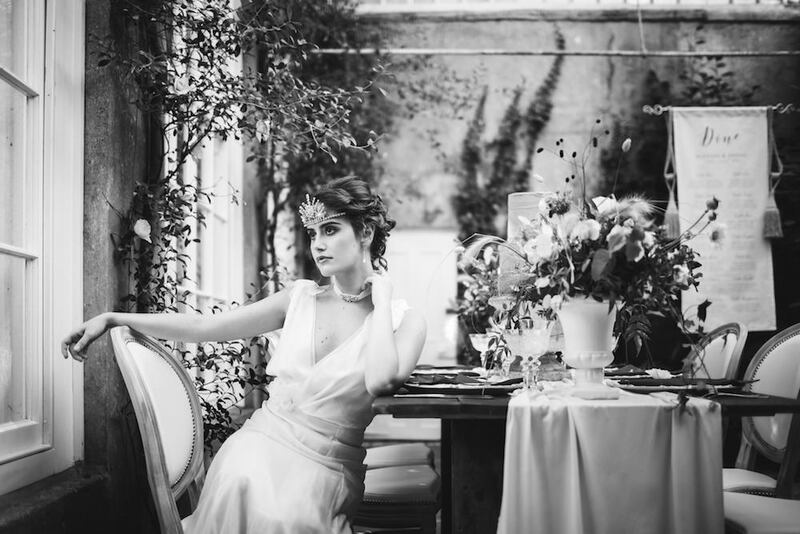 Candra recreated Helene’s the signature classical curls giving the style a contemporary twist. 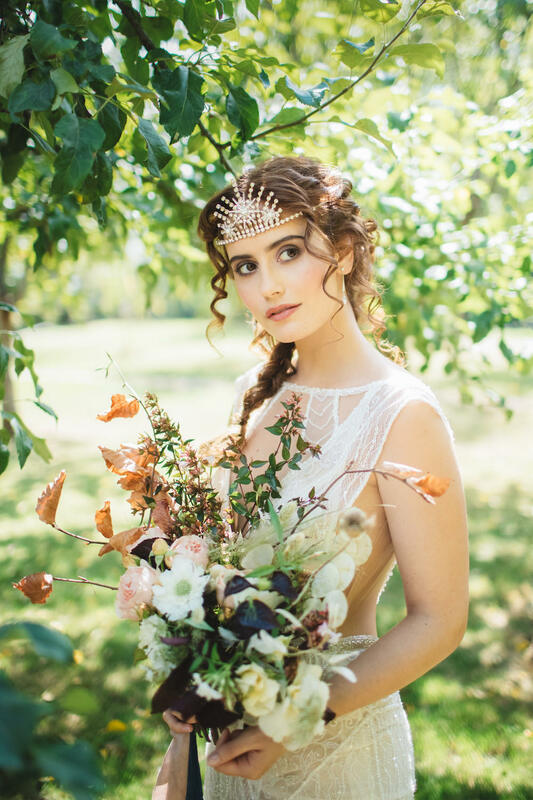 Perfectly crowned by Miss Clemmie Bridal’s exquisite tiara, Candra’s modern interpretation of this versatile style enabled the lengths of the hair to be worn in both a loose fishtail braid over one shoulder and loosely pinned into an elegant up-do. 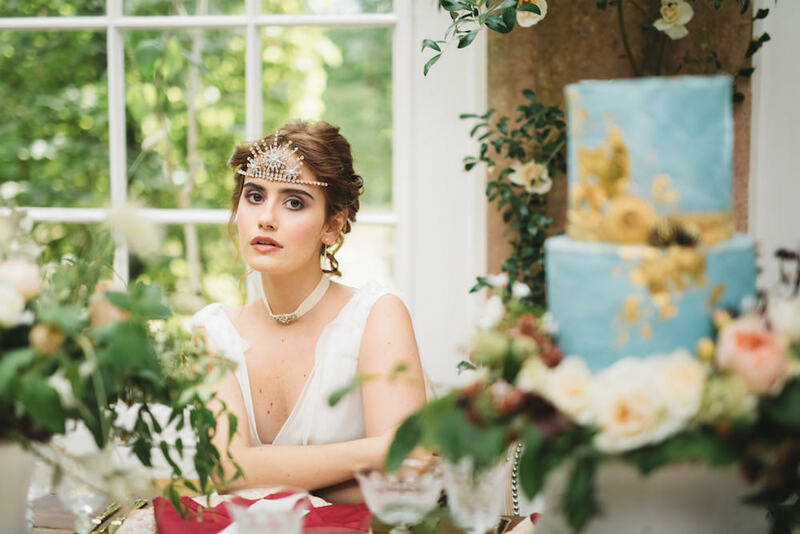 Artisan jeweller and milliner Clementine chose a handpicked selection of heirloom quality accessories, including hairpins from her Constellation collection, drop earrings, luxurious velvet chokers and a bespoke, hand-customised 1910 style tiara which featured heavily throughout the shoot. 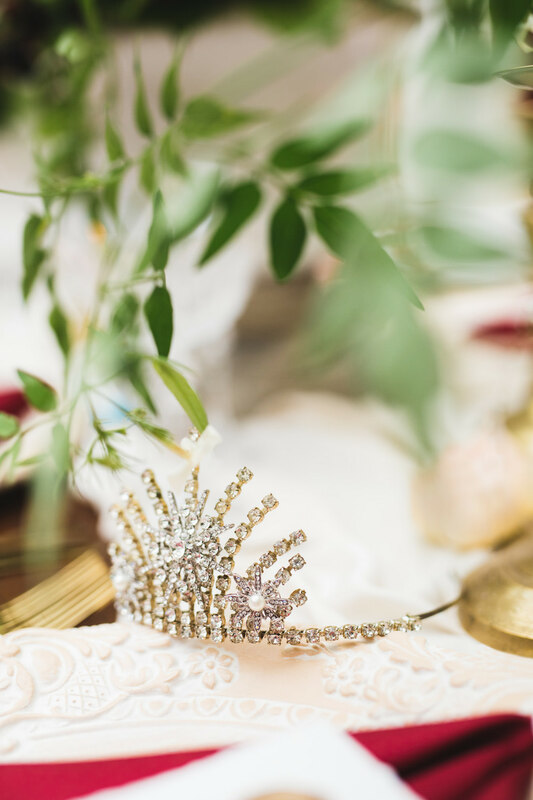 I just adored the clean, star-like design of this tiara, so different from anything else you tend to see in bridal headwear. 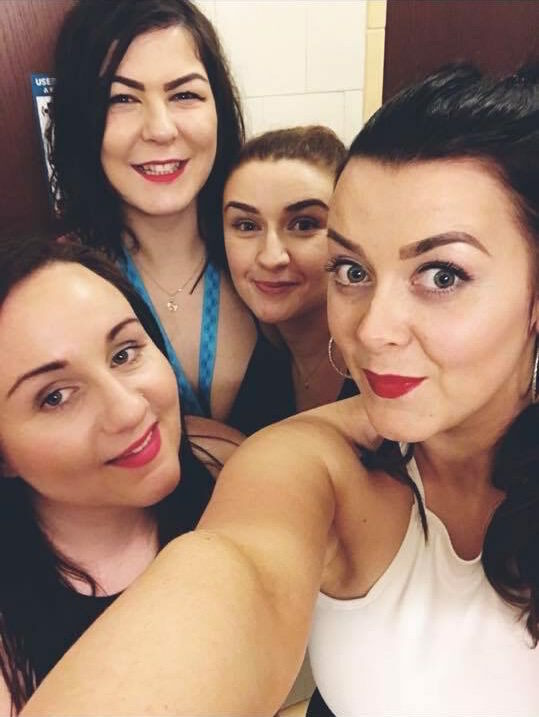 Kerry’s breadth of editorial and bridal experience enables her to adapt effortlessly to different briefs. Kerry used a very soft, feminine palette for this look. Barely-there foundation so the skin looked very natural. A rosy flush on her cheeks using NARS powder blush and a cool taupe in a matte finish on her eyes using MAC stormy pink paint pot as a base. 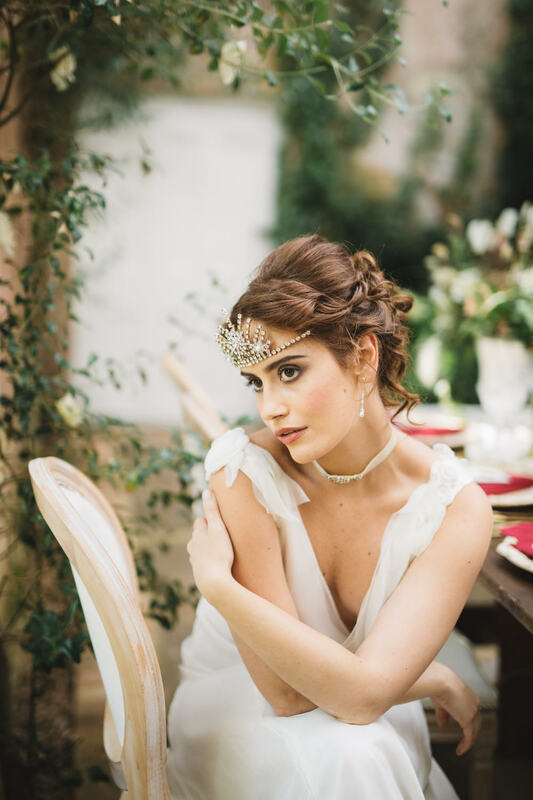 Lips had a subtle gloss, avoiding any overly shimmery products to create a natural, timeless bridal look. A professionally tailored Dolman and Pelisse in the style of the iconic Royal Hussars uniform was provided by world-renowned costumiers, Angels of London. 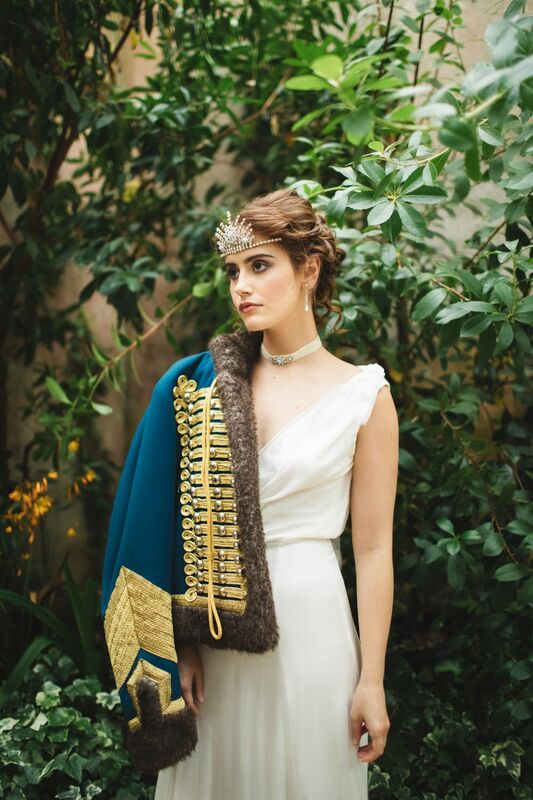 With no groom visible in this shoot the uniform was a meaningful reference to the existence of a mysterious beau. 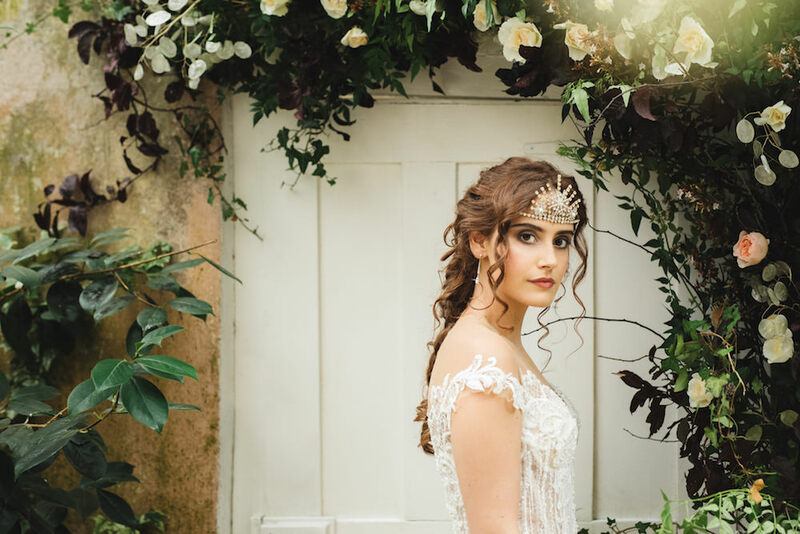 Highly skilled designer Charlotte Wilden spent her training years working alongside some of the bridalwear industry’s biggest names before branching out to create her own label. 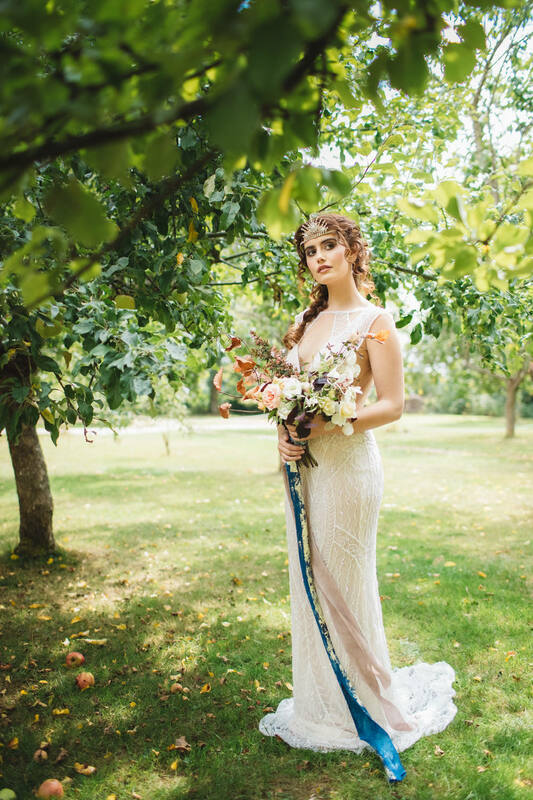 Charlotte specialises in creating unique, one of a kind designs for adventurous, creative brides and created a beautiful Grecian-inspired gown featuring a low back and romantic, goddess-style draping for a relaxed, seductive daytime look.